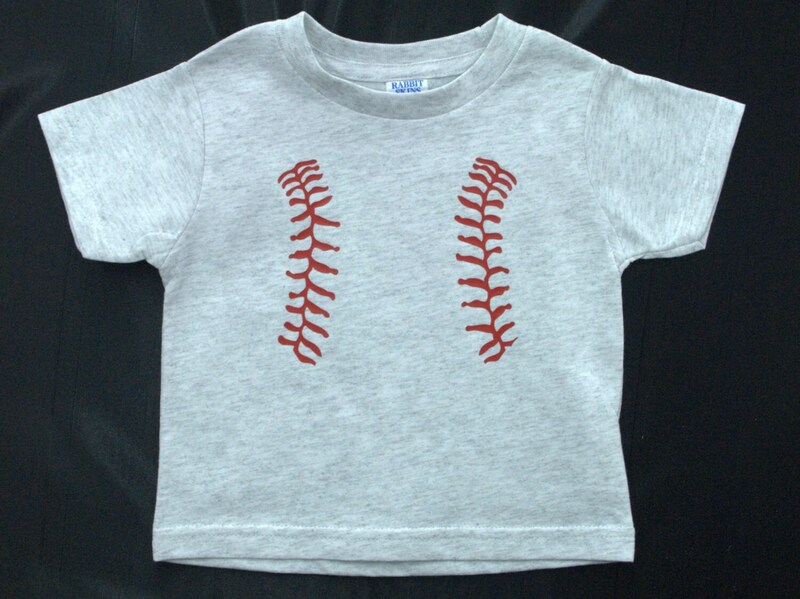 Ash color toddler size t shirt with baseball stitches design in red. Great for the younger sibling to wear to big brother or sisters games. T shirt is made of 99% cotton and 1% polyester material. Available in sizes 2 T, 3 T and 4 T. I have all sizes in stock and ready to ship.